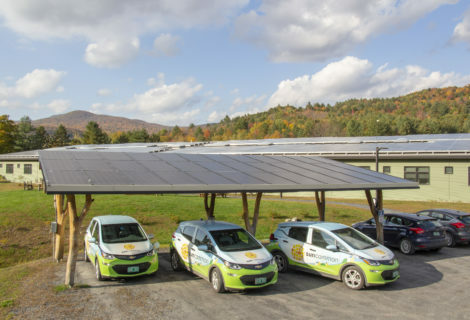 Governor Phil Scott visited the SunCommon offices to talk about solar. 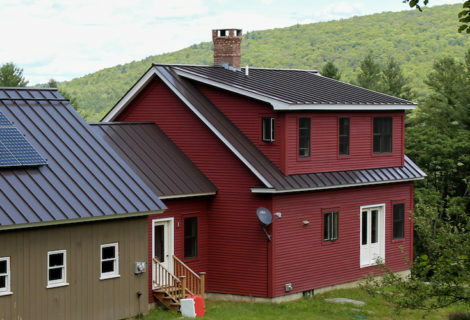 Governor Phil Scott visited the SunCommon offices to talk about solar and energy independence. 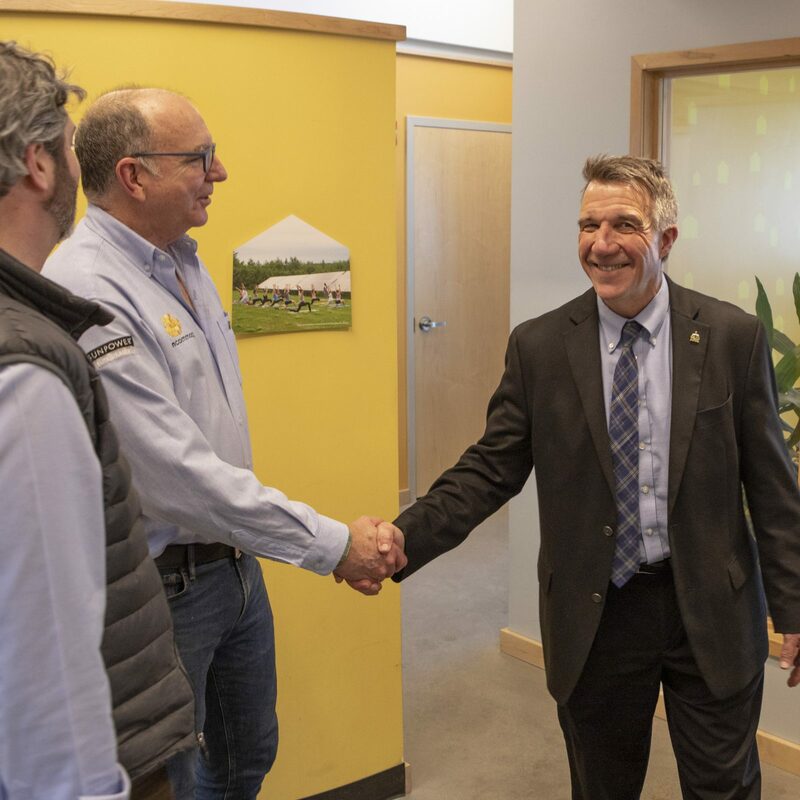 Vermont State Governor Phil Scott visited SunCommon’s Waterbury headquarters to share his thoughts on energy independence. Over 120 SunCommon employees attended, from all departments—even our install crews came indoors for the event! 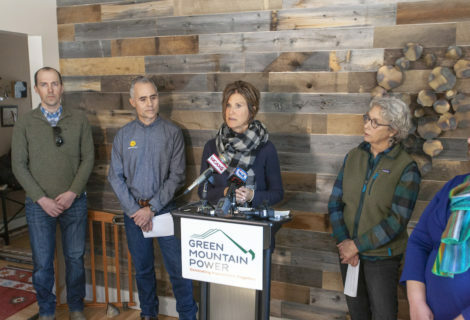 Opportunities like this don’t happen every day, and we were all eager to hear from the Governor about his plan to help Vermont reach its renewable energy goals in the coming years. The Governor also wanted to hear from us—the folks working in this industry every day. 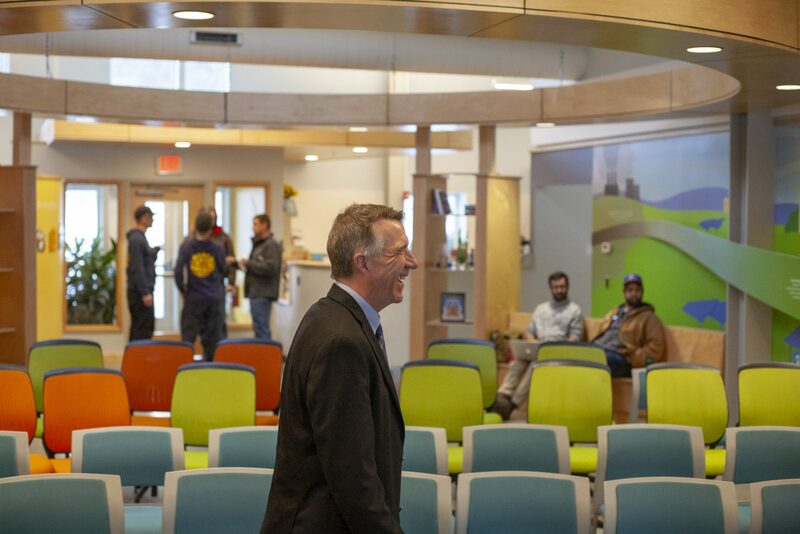 He was impressed that our company’s median age is only 32 and connected that back to his goal of bringing more young people into Vermont.